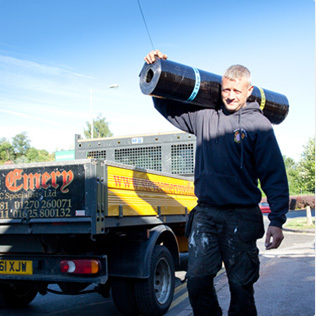 Have long been the foremost felt roofing & flat roofing specialists in the Stoke on Trent & Newcastle under Lyme area. 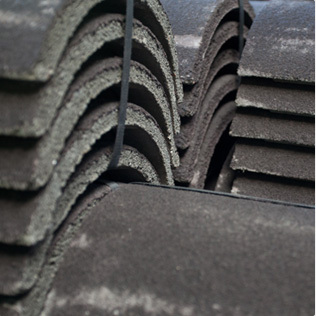 Our years of experience & expertise in the roofing industry allow us to tackle any project no matter how difficult it may seem. Our dedicated team of professionals are trained to the highest level, & always strive to achieve the utmost standard of excellence in their work. Meeting all the needs & expectations of our customers over the years has helped establish our great reputation & loyal customer base & this is something we always aim to achieve over the course of our work. 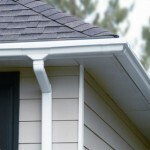 Our years of experience & expertise in the roofing industry allow us to tackle any project. I would like to take this opportunity to thank you and your company for a fast and professional service at our office premises recently.Your employees were on time and courteous to our clients at all times. The workman ship was and is excellent and I would not hesitate to recommend you and your company to our customers. Should we have any need of your roofing and building skills in the future then I will most certainly give your office a call. 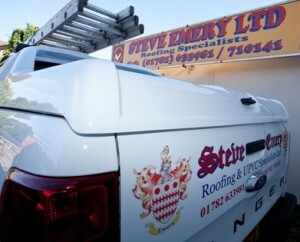 For all your Flat Roofing needs, speak to the experts at Steve Emery Roofing. With a proven track record, we offer a quality flat roofing service that won't be beaten on price. 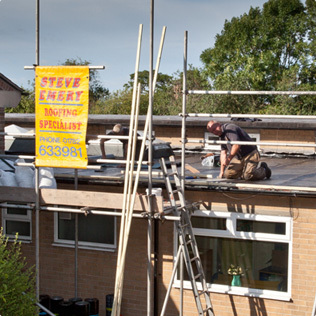 All flat roofing projects are carried out by our team of highly experienced professionals, who ensure flat roof projects meet exacting standards. 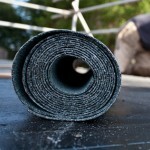 Do you urgently need roof repairs ? If you've fallen victim to bad weather or disrepair, come speak to us at Steve Emery Roofing, where you''ll be treated to a friendly, professional roof repair service. 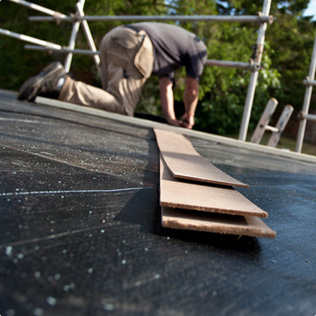 We carry out all types of roof repairs to the domestic and commercial sectors.